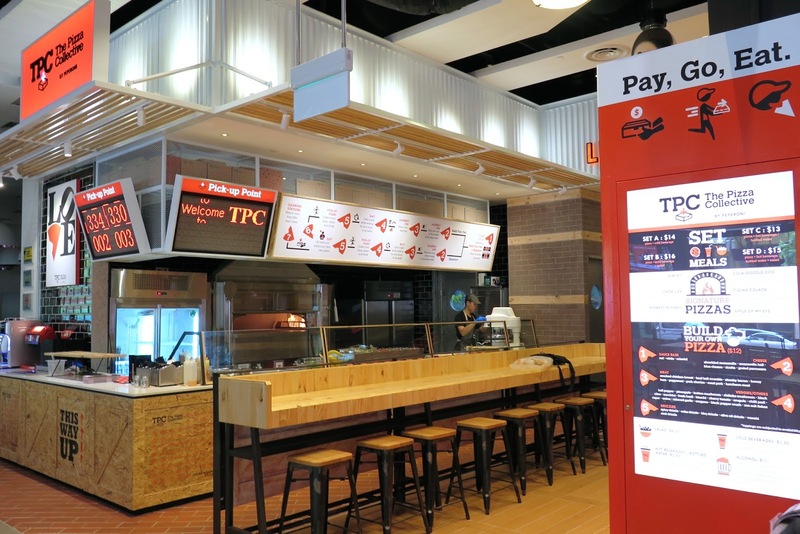 Create your own Hot, Fresh Pizza in minutes at TPC, Singapore’s first smart ordering and self-payment Pizzeria kiosk! 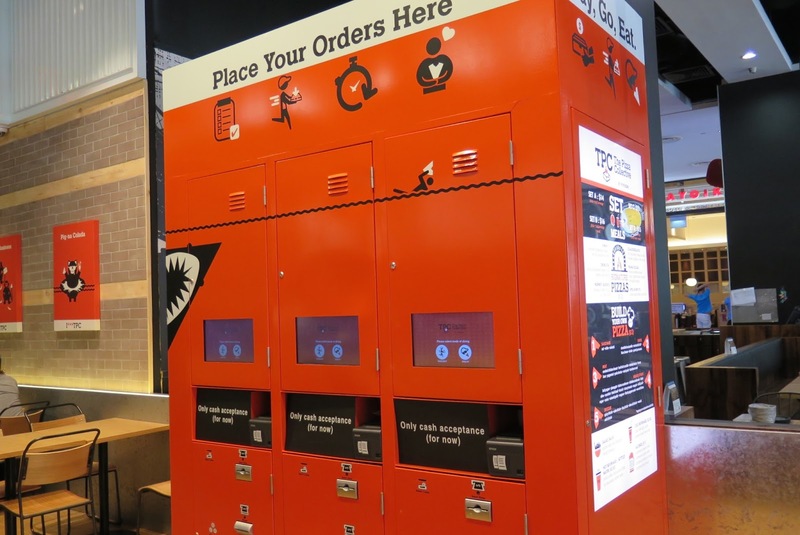 The Pizza Collective (TPC) delivers freshly baked hot pizzas with a few touches on the smart ordering and self-payment kiosk. And not only that, you can catch all the actions of the pizza artist from the open-concept kitchen, while waiting for your pizza to be ready. 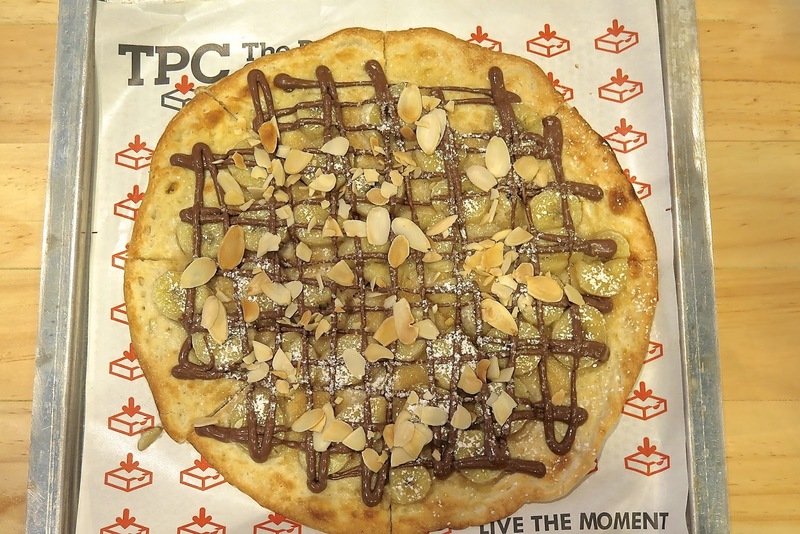 Though the selection of signature pizzas are limited (only six for now), TPC does not skimp on its ingredients and quality. The pizzas here are not pre-baked, but freshly made upon order and baked in the traditional stone hearth oven. 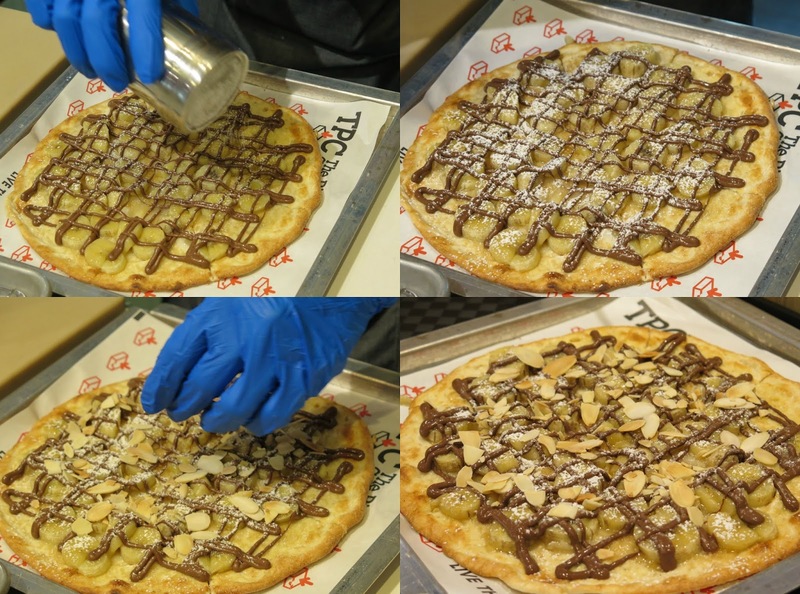 With over 28 toppings and 5 drizzles to choose from, TPC allows personalisation to the last detail. Think unique drizzles such as the “coke drizzle”, the “hot drizzle”, as well as the “wasabi aioli drizzle” would make your pizza creation stand out from the rest. 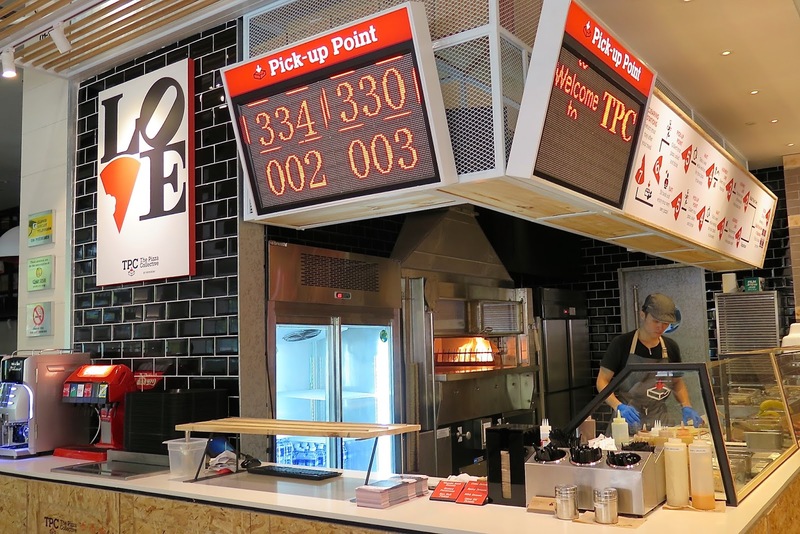 The TPC concept is to encourage customers to exercise their imagination and be creative when it comes to customising their own 10.5″ pizza. For those who are new to the concept of self-ordering and self-payment service system, I have listed down a step-by-step guide for your easy reference. 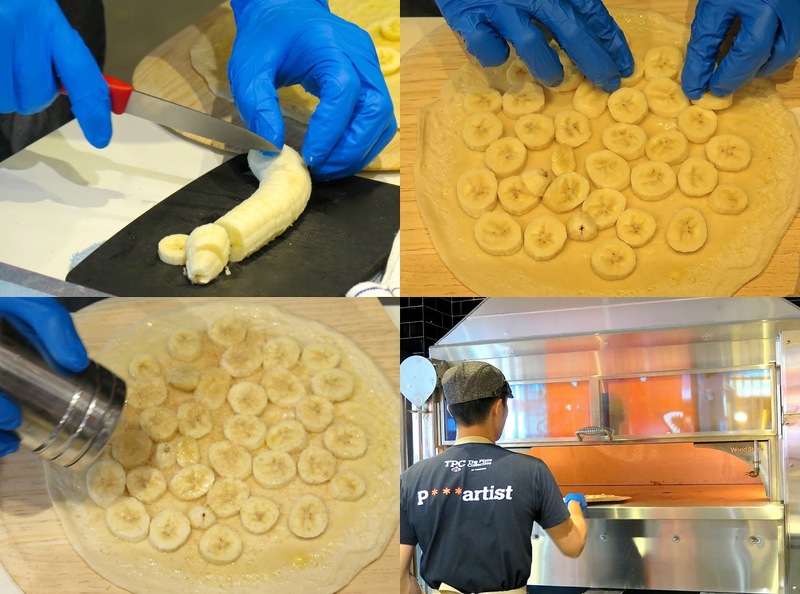 Creating your own pizza is simple, it can be fun and exciting too. Choose between a Build Your Own Pizza or Signature Pizza. Make Payment via cash (card payment will be installed in the near future). Collect the receipts from the pizzeria kiosk and pass one copy to the pizza artist. Select your toppings from the assembly line (for Build Your Own Pizza only). Grab a seat while waiting for your pizza to be ready. Collect your pizza order and/or salad and drink. Sit back and enjoy your pizza. Return your tray to the clearing station after the meal. SET A – $14 include a pizza and a cold beverage. SET B – $16 include a pizza, a salad and a cold beverage. SET C – $13 include a pizza and a hot beverage or bottled water. SET D – $15 include a pizza, a salad and a hot beverage or bottled water. KIM-KY: Oriental, mozzarella cheese, kimchi, luncheon meat. COLA-DOODLE-DOO: Red, mozzarella cheese, smoked chicken, capsicum, coke drizzle. CHOR-LITA: White, mozzarella cheese, pork chorizo, spicy spice. PIG-NA COLADA: White, mozzarella cheese, bacon, minced garlic, oregano, pineapple, arugula. 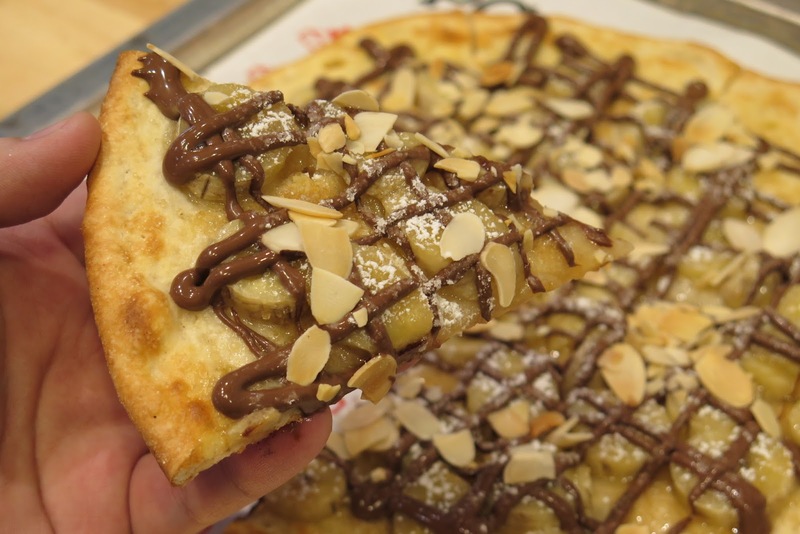 MONKEY BUSINESS: Banana, nutella drizzle, almond flakes. APPLE OF MY EYE: Apple, sugar, butter, cinnamon. Choose your sauce base – Red, white, oriental. Choose your cheese – Shredded mozzarella, mozzarella ball, blue cheese, ricotta, grated parmesan. Choose your meat – Smoked chicken breast, beef ball crumble, streaky bacon, honey ham, pepperoni, pork chorizo, roast pork, luncheon meat. Choose your drizzles – Spicy drizzle, coke drizzle, bbq drizzle, olive oil drizzle, wasabi aioli drizzle. For a 10.5″ pizza priced at $12 nett, it is extremely affordable. Simply go for the Set Meals (priced between $13 nett to $16 nett), you can enjoy the whole pizza with a hot or cold beverage, and complete your meal with a salad bowl. 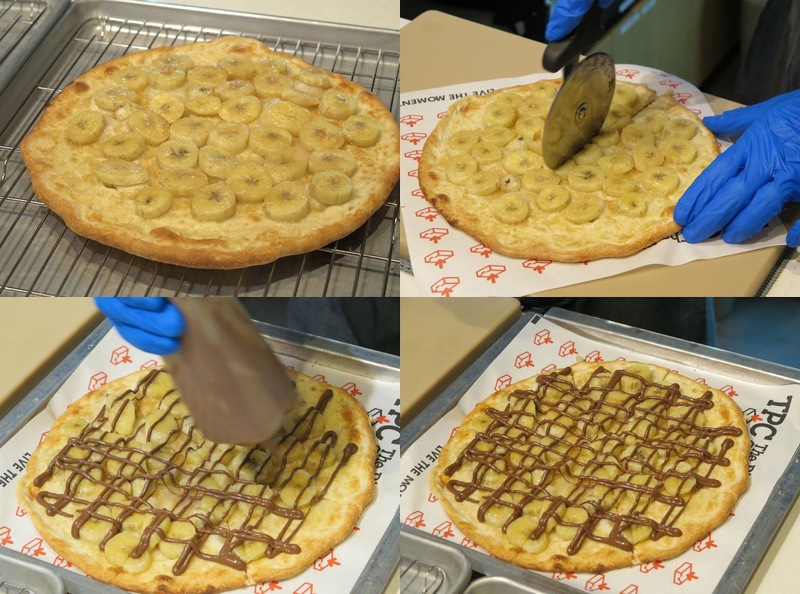 There are no desserts on the menu, however there are two dessert pizza for those with a sweet tooth appetite, namely “Monkey Business” and “Apple of my Eye”. Who says pizzas must always be savoury! *The Pizza Collective at Bugis+ is permanently closed.